You may be surprised to hear that there’s no mandatory U.S. accreditation for plastic surgeons or plastic surgery offices. 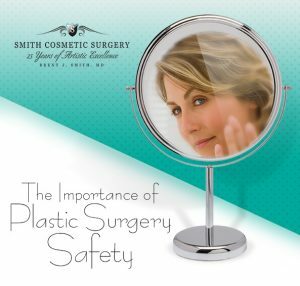 Therefore, patients need to be extra careful when selecting a doctor to perform a facelift or other plastic surgery procedure on the face or body. Does the office keep regular business hours or are they operating at all hours of the night? Do staff members have the proper certifications and training? Does the surgeon perform plastic surgery on the face specifically or on all areas of the body? How many facelifts has the surgeon performed before yours? Where’s the accreditation certificate in the office? Unsavory answers to any of the above should raise some serious red flags. Today we’ll highlight two significant considerations to keep in mind when interviewing a plastic surgeon to perform a medical procedure on you: accreditation and specialization. Let’s start with accreditation. While there’s no formal standard that plastic surgeons are held to once they open a private practice, there is a voluntary accreditation program that’s highly valued and sought after in the industry: AAAHC. It’s considered the leading stamp of approval in plastic surgery, among other healthcare professions. AAAHC stands for Accreditation Association for Ambulatory Health Care, Inc. This non-profit organization, which has been operating since 1979, is designed “to assist ambulatory health care organizations in improving the quality of care provided to patients,” according to the official AAAHC website. A certificate of accreditation from AAAHC means you can rest assured that the plastic surgery practice is undergoing regular, thorough external reviews to certify that it’s delivering safe, high-quality patient care. The third-party organization measures against nationally accepted standards, as well as its own policies, procedures, processes and outcomes. The accreditation includes an extensive, on-site survey by AAAHC health care professionals. Smith Cosmetic Surgery’s staff describes the process as “looking at us under a microscope.” AAAHC evaluates everything from how sanitary plastic surgery operating rooms are, to whether proper anesthesia practices are followed, to how clinical teams communicate and follow up with patients during recovery. Additionally, each practice monitored by AAAHC is required to participate in quality-improvement studies: on-going self-evaluation, peer review and education to continuously better care and services. Likewise, AAAHC is constantly establishing, reviewing and revising standards to continue to create medical practices where patients can feel safe. The process is extensive, both for review and for a practice to maintain the standards AAACH expects going forward. It requires a significant amount of time and resources to stay current, but Dr. Brent J. Smith is a firm believer in going the extra mile to attach this independent seal of approval to the Smith Cosmetic Surgery brand. While accreditation is critical, so is your plastic surgeon’s focus, dedication and experience in operating on a particular part of the body. Specialization in plastic surgery is just as important as in every other field of medicine. You likely wouldn’t have a family-medicine doctor perform your hip replacement – is a breast and tummy surgeon the best choice for your facelift? While we believe accreditation is critically important, we also think there are significant advantages to finding a plastic surgeon that is fully focused, dedicated and experienced on one particular body part or area. Think of it this way – just as your family doctor isn’t the best choice to perform your knee replacement, a breast or tummy specialist may not be the best consideration when it comes to your facial procedure. You want a specialist. Surgical doctors go to school to learn about a specific region of the body; so do the best plastic surgeons. Doctors performing elective surgical procedures have gone through extensive schooling and training to become experts in not just their field, but also their chosen area of focus and expertise. And, Dr. Smith is a great example of that. He chose the face because it’s the physical body’s special way of “expressing outwardly the unique qualities we all have inside,” he says. A perfectionist, Dr. Smith has built a 25-year career around crafting beautiful, natural-looking faces that make patients smile for years to come. He specializes in facial plastic surgery and performs as many as 200 facelifts each year. It took some hard work and dedication on Dr. Smith’s part to achieve a sub-specialization in the facial region. Following graduation from Stanford, Dr. Smith went on to Indiana University School of Medicine and residency at University of Cincinnati College of Medicine in the Department of Otolaryngology and Maxillofacial Surgery. A fellowship followed with Devinder S. Mangat, MD, FACS, of The Facial Plastic and Cosmetic Surgery Center in Kentucky. 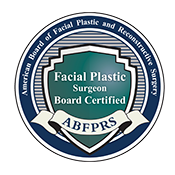 Dr. Smith is also uniquely double board certified by the American Board of Facial Plastic and Reconstructive Surgery and the American Board of Otolaryngology/Head & Neck Surgery. A fellow of the American College of Surgeons, he is a member of six state and national academies and boards dedicated to furthering best practices in plastic surgery. Dr. Smith also continues to further his education and outreach through leading and participating in professional courses on new and improved surgical techniques, nasal and facial anatomy and the latest laser techniques. Additionally he attends seminars on medical ethics and law, and frequently contributes to publications and makes media appearances on behalf of the facial plastic surgery specialization. The reasons accreditation and specialization matter are clear: This is your face we’re talking about. You want to be absolutely certain you have found someone you can trust—who will take legitimate responsibility for your wellbeing and has a track record proving a commitment to education and ethics in facial plastic surgery. Don’t discount the importance of either of these concerns when making the choice about your facelift. Trust is essential to a positive experience and outcome in facial plastic surgery. 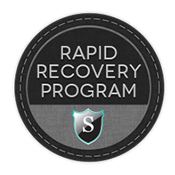 Have more questions about Smith Cosmetic Surgery’s accreditation and Dr. Smith’s specialization? Our dedicated staff is here to help.